The Geek is back for another Transformers review! 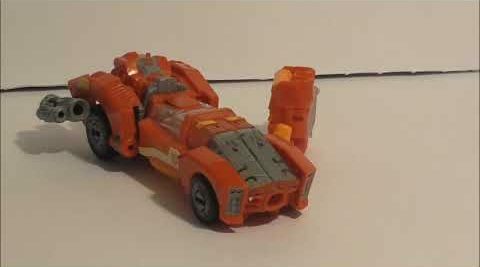 “Novastar” was a substitute name used by Hasbro for a Power of the Primes toy representing the Generation 1 Firestar character, because the name “Firestar” was not available as a trademark to Hasbro at the time. Comes with a Prime Armor accessory and a collector card. Also works with Prime Master figures (not included). Includes Deluxe Class Autobot Novastar figure, Prime Armor accessory, blaster accessory, collector card, and instructions. Ages 8 and up.